“Let your conversation be without malice or envy, for it is a sign of a tractable and commendable nature: and in all causes of passion admit reason to govern,” thus proclaimed George Washington in his “Rules of Civility & Decent Behaviour in Company and Conversation,” written sometime before the age of 16. 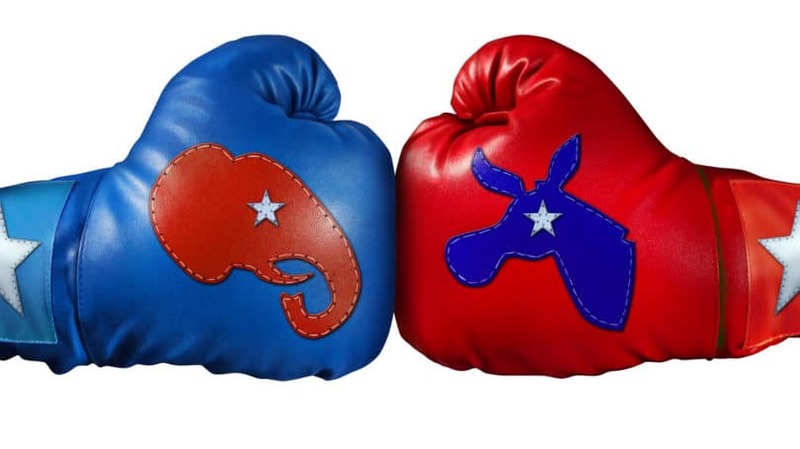 In the heated, often rancorous season of political contest, we Americans often forget that our fellow citizens are more similar to each other than dissimilar, our goals and ambitions more analogous than antagonistic. As a consequence, our public and private discourse has become intensely personal, focused on differences rather than consonance, so that friend, family, and work relationships are frequently in peril. Civility, to most people, is simply being polite, reasonable, and exhibiting respectful behavior. When people disagree, discussion becomes personal attacks; instances of rudeness for other people are common in grocery stores, city streets, even between neighbors. According to the 2013 Civility in America: A Nationwide Survey, most Americans believe that this era of incivility is “harmful to our country’s future,” and is likely to erode further in the future. The same survey indicates that one of three workers believe their workplace is uncivil, leading to job dissatisfaction, burnout and stress, and workplace aggression as evidenced by the number of employees and ex-employees who return to their jobs to exact revenge and commit mass murders. It is also expensive, slowing production, limiting employee participation in company projects, and higher turnover with one of four of employees who quit their jobs attributing it to incivility in the workplace. According to the Institute of Civility, “Civility is claiming and caring for one’s identity, needs, and belief without degrading someone else’ in the process.” It is about disagreeing without disrespect or being disagreeable, seeking common ground as a starting point for dialogue about differences, and listening past one’s own preconceptions, stereotypes, and prejudices. In short, it is the Golden Rule of personal relationship. Good manners are the way we express our civility to others and essential to managing good relationships. Humans are hyper-social creatures, and manners – conscious and unconscious acts that demonstrate our attitude to those around us – are crucial when establishing, maintaining, and enhancing connection and rapport. Since personal happiness or unhappiness to a large part depend upon the quality of relationships we have with others, building more harmonious relationships though good manners (civility) can lead to a better quality of life. While the following segments are among the more obvious differences that can lead to different perspectives, there are a number of others such as sexual identity, gender, educational level, the region where a person lives, and occupation that can affect one’s opinions, the strength or passion with which an opinion is held, and the potential to find common ground with others. Traditionally, the young have represented the greatest segment of the population. However, according to a Pew Research study, their dominance will disappear in the next few decades. For example, in 1960, people aged 14 and younger constituted approximately 31.0% of the goal population, while people aged 65 and older were 9.24%; by 2015, the young (14 and below) will make up 19.3% of the population, and those 65 and older will be 14.84% of the total population. Since the needs and attitudes (as well as voting history) vary by age, there is likely to be substantial conflict over the direction of the country, the role of government, and the distribution of assets between the various age groups. It should be noted that older Americans traditionally are the largest group of consistent voters, thereby leveraging their influence on national and local policies to the maximum. As The Washington Post reported in 1998, America is not a melting pot, but a salad bowl. Historically, immigrants to America integrated quickly into a single society due to the large influx of white immigrants from Europe, initially Irish, Germans, Italians, and East Europeans. Integration was encouraged since the newcomers looked like the people already here. However, in recent years, immigrants are increasingly from Asia and Latin America, and maintain their ethnic identities within separate, disconnected communities. The newer emigrants are more easily identified physically by the color of their skin, the language they speak, and the traditions they observe. This diversity creates opportunity for prejudice and stereotyping, particularly during difficult economic times. While those who identify as white remain the largest segment of the population (63.7%), Hispanics now constitute the second largest segment (16.3%) of the population, followed by black or African American (12.6%) and Asian Americans (4.8%). The remaining 2.5% include American Indian, Alaskan Native, Native Hawaiian, and other races, according to the 2010 U.S. Census Bureau. Hispanics are the fastest growing segment. The changes in the population diversity are unprecedented, especially in several states, and have created substantial conflict over the subsequent direction of government in those states. As of 2010, California, Texas, the District of Columbia, Hawaii, and New Mexico had “majority-minority” populations, meaning that more than 50% of the population was a member of a minority group. By 2060, white Americans will constitute 45% of the population. According to a Pew Center Research report, in the mid-1970s the top 1% of income earning families received approximately 11% of total pre-tax income in the United States, while the bottom 90% of families received 67.5% of the total. By 2012, the top 1% received nearly 22.5% of the total pre-tax income while the bottom 90% of families’ share had fallen to 49.6%. Whether this disparity is justified or whether action should be taken to redistribute income is a matter of perspective. A member of the 1% may have a different opinion and approach than a member of the 90%. Most observers attribute the rise of incivility to the economic tensions and fears due to the recession that began in 2008. Religion is one of those discussion topics we are taught to avoid early in life, the other being politics. Americans practice every religious tradition in the world, including Judaism, Islam, Buddhism, and Hinduism. Many Native Americans have their own beliefs, as do New Age disciples. Approximately one in eight Americans doesn’t practice religion at all, although many consider themselves to be “spiritual.” America is generally recognized as a Christian country, with 78.4% of the population calling themselves Christian, according to the Pew Forum on Religion & Public Life – but there is great diversity and different beliefs when you consider the individual segments under the Christian roof. Protestants represent the largest sub-group of Christians, but the category “Protestant” covers a broad spectrum, ranging from a single evangelical local church, to the massive Baptist, Methodist, Episcopal, and Presbyterian organizations, each segment with its own interpretations of proper human life and behavior. There are half as many Catholics as Protestants in the Christian community, while Mormons, the fastest growing church in the world, currently equals about 5% of the Christian population. Religion continues to play a significant, though often hidden role in political elections. In fact, religious beliefs often fuel the passion that results in personal and family estrangement and disagreements. According to the 2010 Census, nearly 250 million Americans representing 80.7% of the population live in urban areas of the United States, while the rural areas represent 19.3% of the population. Where you live affects your opinion upon issues of all types. Urban populations tend to be more diverse and experience more negative factors of living closer together. As a consequence, they are more likely to have contact with different elements of government more frequently than their rural counterparts, coloring opinion and affecting civility and attitude. Their experiences are notably different than those of a farmer or store owner in a small Midwestern or Southern town. Generally, those who live in a rural area are more conservative, advocating small government with traditional social values, than their counterparts who live in large cities. Despite our differences in skin color, religious preferences, age, and occupation, most of us seek harmony in our relationships. The majority of Americans seek an environment where bullying is rare, if not eliminated. We mutually desire safe workplaces and schools where each person is respected and considered valuable. Almost everyone agrees that the level of incivility in our communities leads to stress, unhappiness, violence, and loss of hope. However, neither government nor institutions can make the difference. It is the responsibility of every person to pursue and practice civility. Practicing the following techniques can lower the emotional heat in your relationships, even when you are unable to find common grounds for agreement. The adage, “You can’t understand another person’s experience until you walk a mile in their shoes” is particularly true when it comes to perspective. While it can be difficult to look at issues from the viewpoint of those who disagree with you, logic and humility require you to recognize that other people’s desire for comfort and happiness is as valid as your own. 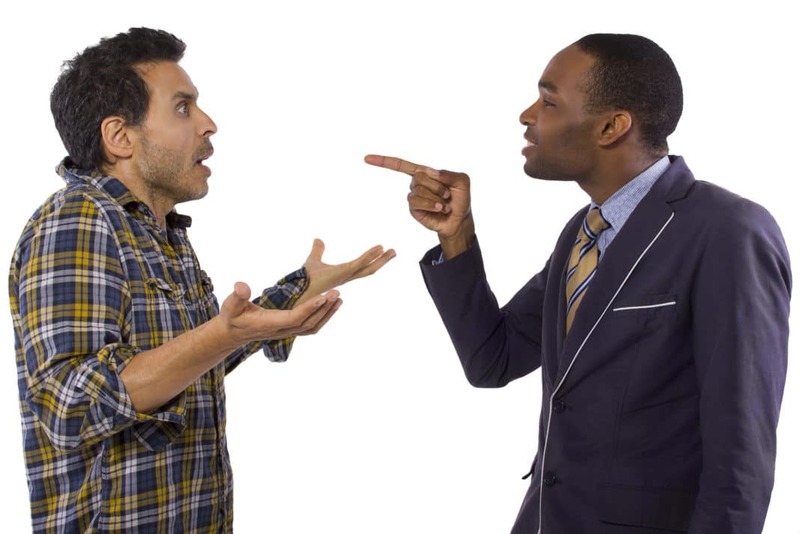 Disagreement does not require a winner and loser; in reality, both positions could be right and both positions could be in error. Approach those with a different viewpoint with eagerness and the objective of collecting information about their perspective and the factors that have prompted them to their conclusions, even though you may not agree. The root of many contentious relationships is a presupposition that the other side neither understands nor cares about the feelings or opinions of the other party, probably due to previous experiences. As a consequence, they are belligerent, determined to strike first in the anticipated battle for emotional power. Your best strategy is to ignore their aggression and express empathy for their position. Showing understanding is not the same as agreement. Demonstrating that you understand their position, as well as the reasons they have come to their conclusions, allows you to proceed without the emotional baggage that complicates reaching agreement. It also places the focus on the issue, rather than the two parties, so you can work together to arrive at a mutually satisfactory conclusion. Respect for yourself and to those who might disagree with you is critical to civility. In practice, this means giving other people the opportunity to state their opinions and recognizing that there may be points on which you can agree. Do not presume you know their positions, as you may be incorrect based upon your own prejudices and stereotypes. Listen to what they have to say, recognizing that you do not have to agree to be courteous and respectful. At the same time, if you feel pressured or bullied, respond immediately with determination and poise to assert your rights to the same civility. If your admonitions are ignored, simply halt the conversations with “Please do not raise your voice to me,” or “We will have to agree to disagree,” and walk away. Many people believe that agreements always result in a winner and a loser. For instance, the car salesman wins if the customer pays “too much,” and vice-versa. I win if I get my way, and you do not. 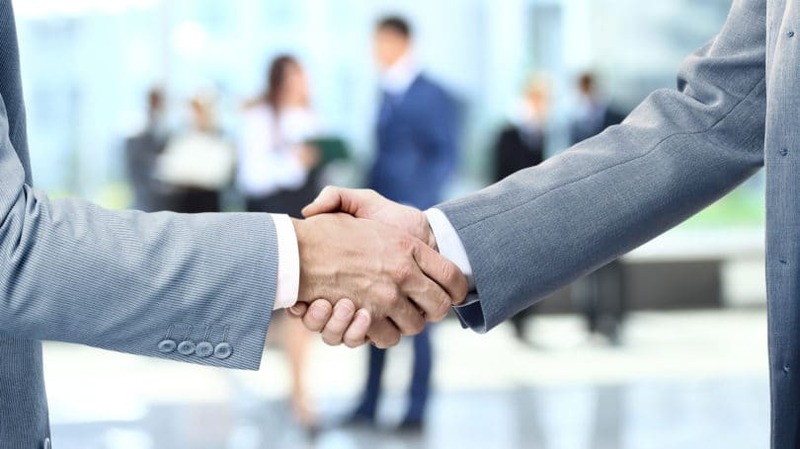 The reality of negotiations is that both parties need the sense and belief that their needs are met in an agreement; otherwise, there will be no agreement. Simply stated, if I don’t get enough of what I want, I will walk away; if you don’t get enough of what you want, you will walk. On a superficial level, all agreements seem to be either black or white, yes or no, on or off. Our Washington leaders find themselves in this position today and are deadlocked – the result is that no one wins and everyone loses. In real life, agreements are not the result of one side winning. Most issues, even the most contentious, encompass a wide range of needs and priorities. Focusing on the priorities of each party allows movement and eventual agreement, even when the agreement fails to meet all of the needs of both parties. For example, even the most ardent NRA supporter can agree with the anti-gun advocates to put legislation and procedures in place to keep guns from adolescents and the mentally disturbed, rather than having either no limits on firearms or a total ban on private ownership. There are times when the other party is so adamant about their position, unwilling to even consider your perspective and needs, that civil engagement is unlikely. Rather than endure the personal attacks, discomfort, and anger that will invariably result, civility requires you to walk away and delay your efforts to have a positive discussion until another time. When the issue is critical and the decision is within your power, it should be mandated without significant discussion, since a conversation will only exacerbate hard feelings. For example, companies often require employees to work overtime, even when the employees prefer to have time off. Rather than attempting to convince a reluctant employee to work the extra hours, the supervisor should make a simple directive, clearly closing off other alternatives. Civility is essential in our lives if we are to build strong, lasting relationships. At the same time, reducing the level of incivility present in our communities and political system seems almost impossible. Rather than setting unrealistic goals which may be impractical to achieve, the better approach is to start on a personal level – doing what you can do to be more civil, and serving as a model to those who interact with you. What tips can you suggest to remain civil in the face of disagreement?